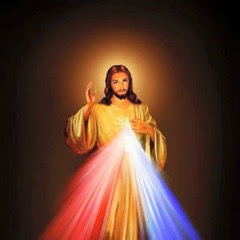 We start the Divine Mercy Chaplet with benediction at 10.45AM and thereafter the Litany and High Mass to celebrate the feast of St. George. As the weather looks sunny and nice, we will have the procession outside also. We also will remember our Father in Faith St. Thomas on the memorial of the Sunday after Easter when Jesus appeared and he proclaimed Jesus as our God and Lord!! If anyone wishes to join in the presudenti (sponsor for the feast of St. George) come and join. St George Feast, Sunday APRIL 23. The Feast of St George will be celebrated this Sunday, April 23, 2017. On behalf of the St. George Ward, Sponsors of the feast, the Parish Council and the Mission Director Fr. Thadeus, we invite you all to join us to celebrate the feast. If you would like to become a Presudenthi, Please notify Roy Joseph or Cherian Mathew via an email or text message. All presudenthies, Please report to church social hall by 10:20AM since our Devine Mercy Chaplet service starts at 10:40AM. We welcome everyone's prayerful participation. With deep sadness I share with you the following news about the passing of John Varghese in Kerala. Marykutty's brother John Varghese Tharayil passed on April 17 2017. Funeral is in India on April 19 panthladumpara Mary Matha church Vadakumchery Kerla. Lived up to 74 years and was retired from the army. May John Rest In Peace and let perpetual Light shine upon him! 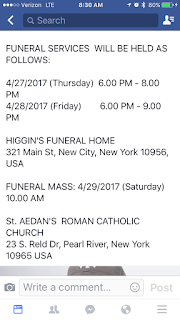 Msgr Jim Cox's Funeral details. On Wednesday we will not have a morning Mass at 9am and the parish rectory office will be closed that day. 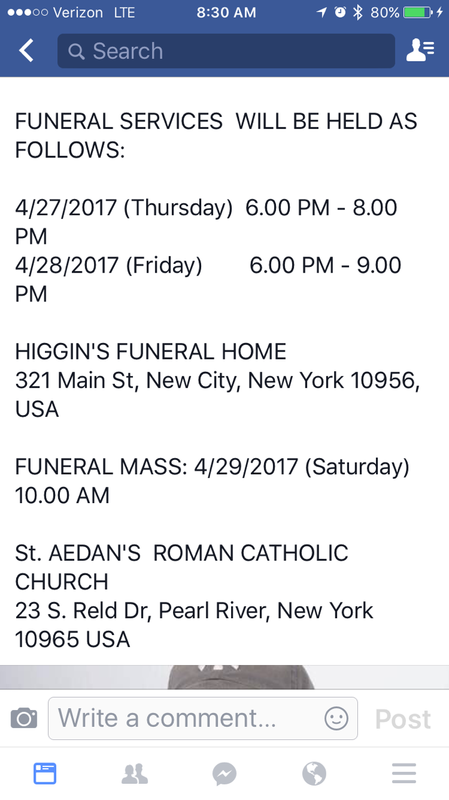 PS: See below the schedule for Holy Thursday to Easter. We have special services in English in the social hall at the same time as in the church. We will be having a mini retreat and dinner for our young adults on Wednesday, April 12th from 7-10 pm. Father Jose Mulangattil will be speaking to us about our Lenten journey. Additionally we will have adoration of the Blessed Sacrament and we will also have the sacrament of confession available. Dinner will be served at 8:30 pm. This mini retreat is specifically created for our young adults however we are open everyone who'd like to come. No one will be turned away. Parents, encourage your (young adult aged) children to join us! 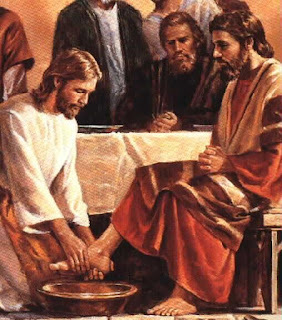 Any one who wants to be part of the washing of the feet (who has never done it before at our church) may contact me at 8454909307. They have to be here by 7.40PM. at thadeusa@gmail.com or call me at 845-490-9307. This is for the service in Malayalam in the church. With deep sorrow I share with you the sad news of the death of GEORGE VANIAPILLIL in Nediasala this after noon. His brother Joseph Vaniapillil and Theyyamma are already in Kerala. We express our heartfelt sympathy and promise our continued prayers. May George rest in peace! മൂന്നു പതിറ്റാണ്ടിലേറെക്കാലം കാഞ്ഞിരപ്പള്ളി, ചിറക്കടവ് സെന്റ്. ഇഫ്രേം സ്‌കൂള്‍ അധ്യാപകനായിരുന്ന വിക്ടോറിയന്‍ ഇമ്മനുവല്‍ (ഇമ്മനുവല്‍ സാര്‍ ) 81 ,ന്യുയോര്‍ക്കില്‍ നിര്യാതനായി. ഭാര്യ ഗ്രേസിക്കുട്ടി കൊല്ലാട് മണമേല്‍ കുടുംബാംഗമാണ്. മക്കള്‍ : ഡോ. കൊച്ചുറാണി ജോസഫ്, മേഴ്‌സി തോമസ്, ബിജു മാനുവല്‍, ഡോളി ജോസഫ്, ജോസ് പ്രസാദ് മാനുവല്‍, പ്രീതാമോള്‍ ബോബി, ജോമോന്‍ മാനുവല്‍ (എല്ലാവരും അമേരിക്കയില്‍). With deep sorrow I inform you that Victorian Emmanuel Manjappallil (81) entered eternal life this morning. He is originally from Chirakadavu, Kanjirappally. A prayer service will be held at the residence of Shaji Joseph and Kochurani at 7.00PM tonight (Monday, April 3). We express our heartfelt sympathy to his spouse Gracykutty, children from our parish, Kochurani Shaji Vandanamthadathil, Jose Prasad Manuel and their siblings and family members. May Emmanuel Sir Rest in Peace and perpetual light shine upon him!